Bonjour! We are an American couple living in Europe for the last 3 yrs. Expats from California living the Dream! We spent years imagining a life abroad and now we want to show others the Joy of being in a new country, seeing new sights, meeting locals, tasting new foods. Every day is an adventure. We want to make others feel they have a safe place to land in a foreign country. We will share our hidden secrets, ensuring you don't make travel mistakes we already have. 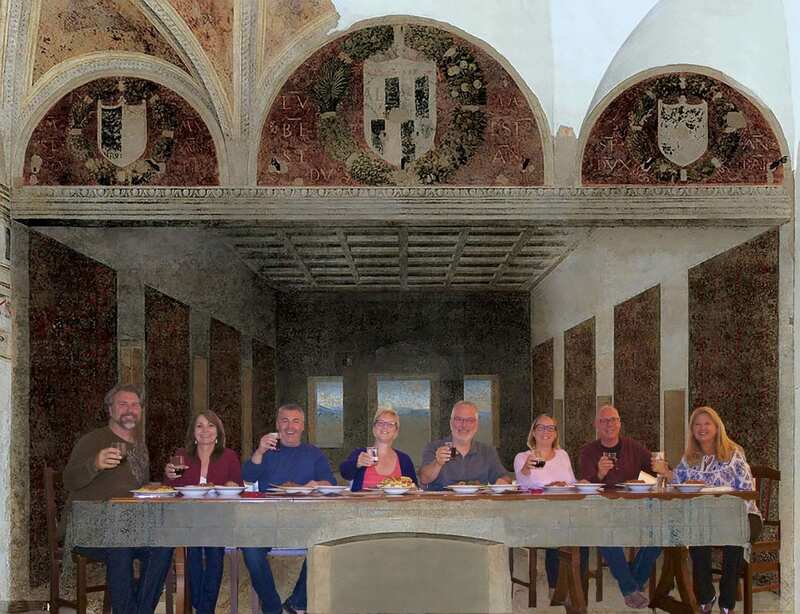 Small groups not a giant busload of people, enabling us to take you to smaller villages, medieval hilltop towns and country churches and farmers markets and enjoy meals and adventures together you will cherish for the rest of your lives. Imagine the new friends you will make and the things you will see and experience with Imagine Travel Tours! We can help you put together a custom travel experience to share with your family and friends. If you only have a few people we may be able to partner you up with another small group so that you all can benefit from our incredible tours!